Barry Miller (1864-1933), legislator and lieutenant governor, the son of Thomas Johnson and Rachel (Barry) Miller, was born on December 25, 1864, near Barnwell, South Carolina. He spent his boyhood in Washington, D.C., where he served for a time as page in the United States Senate and worked as printer's devil on the Washington Post. He moved to Texas in 1882 and, at the age of nineteen, began to practice law in Dallas. In 1885 he married Minnie H. Miller, daughter of William B. Miller. 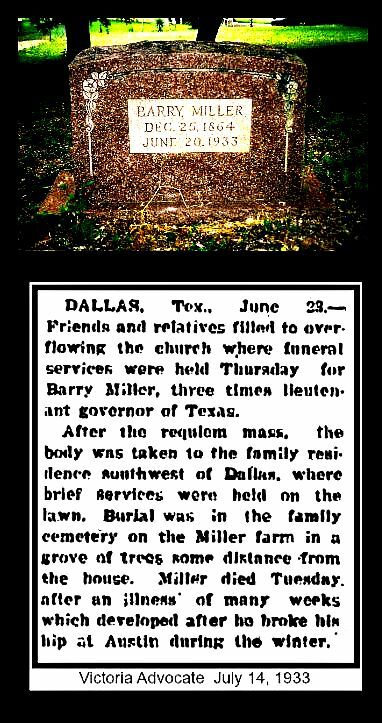 Their home was known as Millermore.Miller was elected to the Texas Senate in 1899 and served four terms; he was president pro tem in the Twenty-seventh Legislature. For three elections he was campaign manager for Charles A. Culberson. 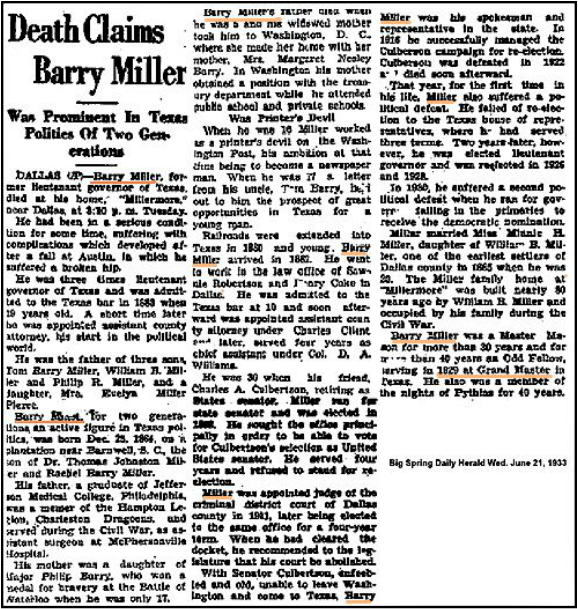 Miller was appointed judge of the Criminal District Court of Dallas County in 1911 and was reelected to the post for four years. 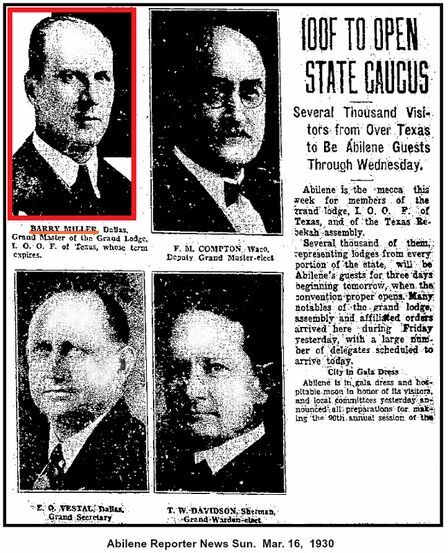 He was a member of the Texas House of Representatives from 1916 to 1922, when he was defeated for reelection. 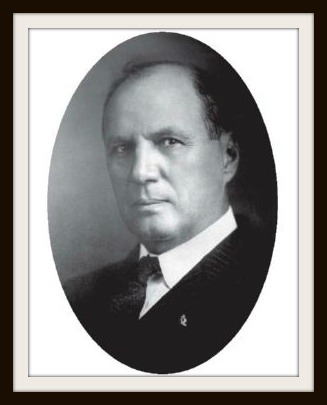 He was elected lieutenant governor in 1924, 1926, and 1928. In 1930 he was candidate for governor but failed to receive the Democratic nomination. 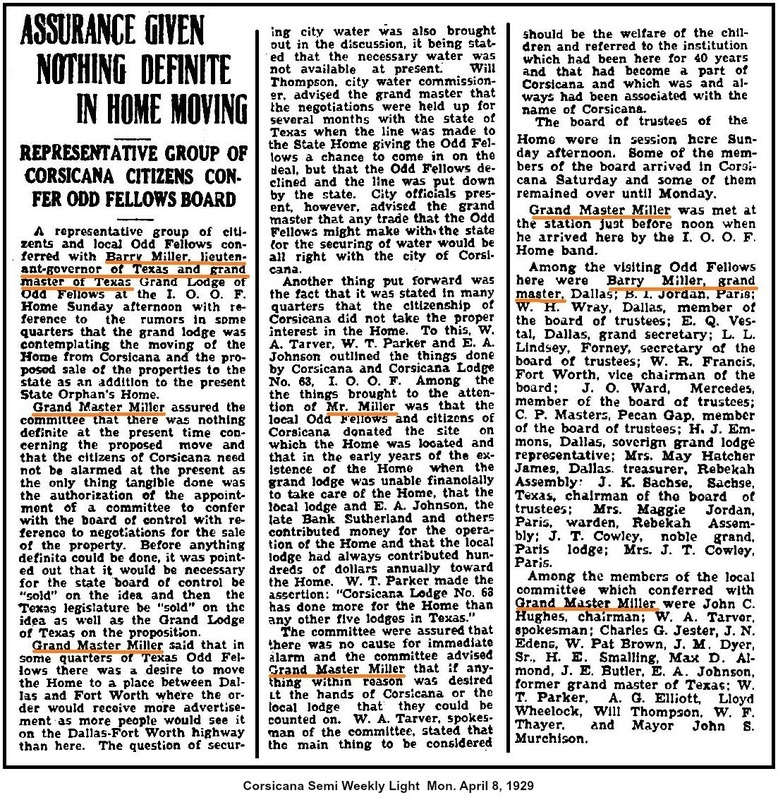 He died at Millermore on June 20, 1933. 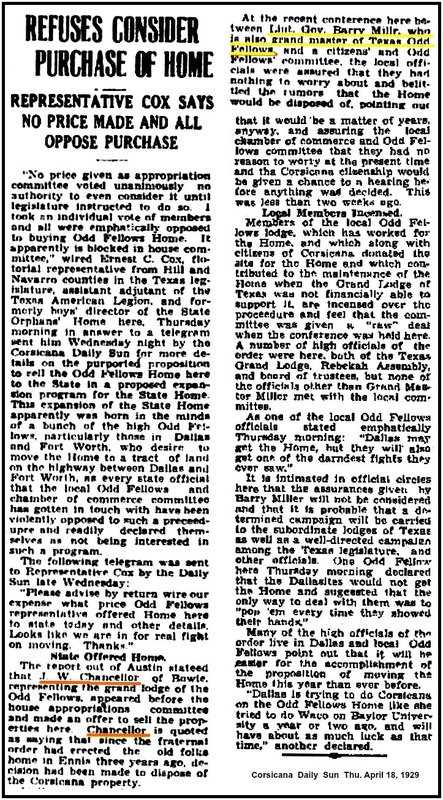 BIBLIOGRAPHY: Dallas Morning News, June 21, 1933.